Bulldozers could soon move in to level a former Wigan restaurant although the future of the site remains uncertain. A developer is hoping to replace what was the Chinese Delight eatery in Standish with apartment blocks. 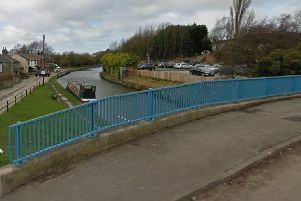 But the council is yet to determine whether a revised plan – after an original bid was met with opposition – is suitable. Firm N Andrews Homes Ltd applied last year to build 10 two-bedroom apartments and six three-bedroom houses at the Preston Road location. Application documents say the former restaurant is ‘unattractive, in a state of poor repair and has been subjected to vandalism’. However, neighbourhood forum Standish Voice formally opposed the plan, stating it would like to see affordable housing or accommodation for older residents on the site. The developer redesigned its proposals earlier this year to 21 two-bedroom apartments. An updated design statement reads: “Having originally submitted a scheme it was found that the council had a number of issues. “Following detailed correspondence and meetings we have now agreed on a scheme that overcomes their concerns. A decision has not been reached on the revised plan and it could come before the council’s planning committee later in the year. The demolition of the building has been granted unconditional approval and is expected to take place over a two-week period although a starting date has not yet been submitted to the town hall.